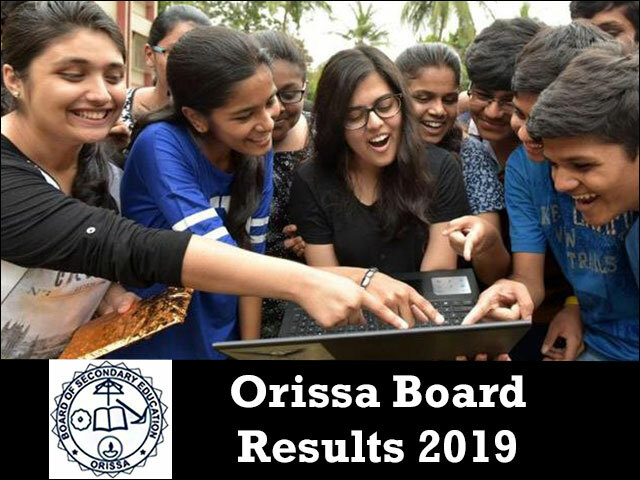 Odisha Board Result 2019 - The council of Higher Education, Odisha is responsible for declaring the Odisha plus two results 2019, while the Odisha 10th result 2019 will be announced by Board of Secondary Education. The Odisha Board Result 2019 when declared will be updated in this article. The board exams are likely to start in the end of February, 2019 and will continue until end of March, 2019. It is to be noted the dates and timeline is likely to differ for both Odisha 10th Result 2019 and Odisha plus two result 2019. Odisha Board Result 2019 should only e accessed via official sources like JagranJosh or the Odisha Board. JagranJosh will be sharing the links to the Odisha Board Result 2019. Students can bookmark this page for all the latest news and updates related to the Odisha Board Result 2019. Here in this article, JagranJosh brings to you detailed information on the Odisha 10th Result 2019 and Odisha 12th Result 2019. Find out how and where to check the Odisha Board Result 2019, its important dates and what after the result announcement. The Odisha Board 2019 exams for both 10th and 12th class are just a month away. Students must be familiar with the important dates related to the Odisha Board Result 2019 in order to stay updated with all the ongoing of the Odisha Board Exam. We at JagranJosh will update this article whenever there is an update or notification released by the board it will be updated here. How to check Odisha Board Results 2019? The students should view and download or save Odisha 10th Result 2019 and Odisha 12th Result 2019 on their systems for future references. This download / printed copy of Odisha Board Result 2019 can be used by students as provisional results until official mark sheets are provided by the board. We request all the students to collect the original mark sheets for BSE Odisha Result 2019 and CHSE Odisha Result 2019 from their respective schools once they are available. The Odisha Board Result 2019 Analysis will be done once the Odisha 10th Result 2019 and Odisha plus two results 2019 are declared. Since the Odisha board exams are yet to be conducted, therefore candidates are recommended to go through previous result analysis for better understanding. As per reports, in 2018 76.98 per cent students had cleared the Class 12 examinations in Science stream. Overall pass percentage in Arts was 68.79 per cent, while the pass percentage in Commerce was 74.91 per cent. Overall pass percentage in vocational course was 52.61 per cent. According to reports, more than 2, 30,000 students appeared for Class 12 Arts exam and 28,000 had appeared in the Commerce stream. Last year, 96,175 students had appeared for the exams in Science stream. What after Odisha Board Results 2019? After the Odisha Board Results 2019 are announced the most crucial thing to do is to access the result and download the Odisha Results 2019 or take a hardcopy of the same. Although the students will be provided the facility to download and to take a printout of the Odisha 10th Result 2019 and Odisha 12th Result 2019 scorecard, they must remember that these are merely provisional results. The students are informed by the board that the online score cards of the Odisha 10th Results 2019 and Odisha plus two Results 2019 will not be considered in place of original, and are provisional. The students should download the Odisha Board Result 2019 on their system only for offline viewing, and to be used as a reference for admission formalities. Authorities will always ask for the original mark sheets issued by the board to corroborate the online / printed scorecard before completing their admission formalities. When the Odisha Board Result 2019 is announced, it will bring joy to some and disappointment to some. However, students must know the results are not an end to their dream. In case the students do not feel that their efforts have been truly justified in the scorecard, they can apply for re-checking / re-evaluation of the answer sheets. In case there is any change in the final mark tally, the same would be updated in the original mark sheet. There are two separate boards for regulating High School Education and Higher Secondary Education. The Council of Higher Secondary Education, Odisha is in existence since the year 1982 and was established in accordance with the Odisha Higher Secondary Education Act 1982. The duties of CHSE, Odisha include regulating and monitoring the policies to develop Higher Secondary Education in the state of Odisha. The Board of Secondary Education, Odisha is a Body Corporate constituted under the Odisha Secondary Education Act, 1953. The BSE is located at Bajrakabati Road, Cuttack and is functioning as an education body since 1955. It conducts the High School Certificate Examinations (HSCE) and other related examinations. Its duties and jurisdiction involve the development of curriculum, supervision in the implementation of state academic policies and conducting examinations for the purpose of evaluating the students at the higher secondary level. Odisha is observing a 12 hour bandh today. However, BSE Odisha 10th,12th Board Exam 2019 remain unaffected and are being held as per schedule. Click here further details.